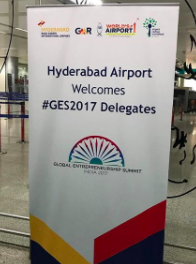 This morning – after a 16.5 hour flight, a four-hour layover and another 4 hour flight – I touched down in Hyderabad, India, where I’m attending (and pitching at) the Global Entrepreneurship Summit. If you had told me a few months ago that I’d be going to India this year, I would have thought you were crazy. I probably would have pointed out that when we use the term “Indians” in our games, we’re referring to Native Americans and maybe you had gotten that confused. India wasn’t even on my radar as far as visiting. 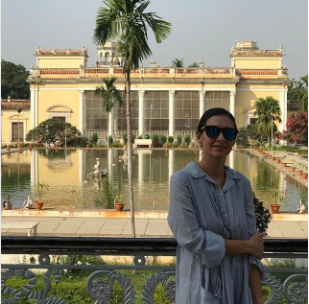 Don’t get me wrong, it wasn’t that I didn’t want to go to India – I love traveling internationally, and India is one of those places that, if you had asked me about it, I would have said that I’d want to see it in my lifetime, I just didn’t see it in my near – or even intermediate – future. After all, our focus on international expansion is on the Latin American market. But the (startup) world works in mysterious ways, which is how I find myself sitting to Hyderabad to attend an international summit of entrepreneurs. There’s a lot of talk – rightfully so – about how hard startups are and how draining they are and how every day is a grind. All of that is true. But so often those stories center around how “someday, it will be worth it” when you sell your company for millions or go public. But there’s a lot more to be gained from running a startup than just a huge payout at the end. In the case of 7 Generation Games, it’s enabled me to meet people I never would have met, to speak at events I would have never imagined speaking at and more. It has already given me the chance to see parts of the world that I probably wouldn’t have seen otherwise. The fact that I’m writing this post from my hotel room overlooking Hyderabad is a testament to that. But that’s one of the amazing things about going out and starting a company and taking that leap into the unknown – you never know what it will take you.